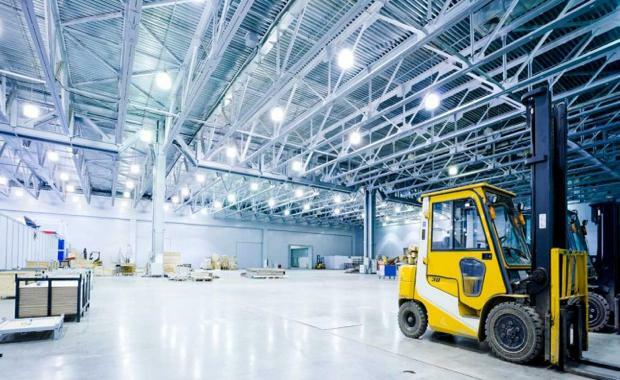 According to JLL, the Australian industrial property sector is building toward a recovery in occupier demand conditions at a point where the development cycle is more subdued, indicating rental growth may accelerate in the next few years. The industrial sector remains in favour with investors and JLL are predicting another record year for industrial sales transaction volumes in 2015. JLL's Australian Head of Industrial Michael Fenton said, "The volume of industrial transactions in the first quarter of 2015 was reasonable at over $541 million for the Australian market. However, JLL alone currently has over $600 million of industrial property in due diligence, so we expect the transaction volumes to build rapidly in the second quarter. "The start to the year is typically slower and this year has been no different. Investment volume last year was very strong and vendors are preparing assets to come to market this year to take advantage of the robust investment conditions. "Industrial volumes in 2o14 were the highest volume on record at $5.09, surpassing the 2007 peak. "Volume was greatest in Sydney (46%) followed by Melbourne (27%) and Brisbane (15%). "Yields at the tighter end of the range (for the best quality assets) are now below the previous peak in Sydney and equal low in Melbourne. The industrial investment market remains very buoyant and further yield tightening is expected this year, supported by sales campaigns currently in progress," Mr Fenton said. Mr Fenton predicts that investors will have a few good opportunities to acquire prime grade property on-market, but that completion will be spirited. [urbanRelatedPost][/urbanRelatedPost]"The depth of capital available to purchasers and the growing number of investor groups looking to acquire industrial property in 2015 means there will continue to be unsatisfied capital building in the sector. "Despite record transaction turnover last year, there are still very limited opportunities for investors to acquire assets on-market and a greater sense of urgency from purchasers is noticeable this year. "We think it is a good time for owners looking to rebalance portfolios or recycle capital to bring opportunities to market in a competitive process. "Head of Industrial Research Australia Nick Crothers said, "The outlook for industrial occupier demand looks very bright, particularly in the Eastern Seaboard markets. A strong residential development cycle is underway and the retail sector is also in the early stages of a steady cyclical recovery. Australia's strong population growth and housing investment cycle is clearly supporting a higher level of consumption spending. "Owners of logistics property are also benefiting from new sources of demand including online retailers, international retailers and ongoing consolidation from major third party logistics operators," Mr Crothers said. Take-up in the first quarter of the year was led by occupiers in the Retail Trade sector (31%), followed by Manufacturing (27%), Transport and Storage (17%) and Wholesale Trade (10%). "Meanwhile, the development market remains active and competitive in most markets, meaning occupiers are being attracted to new developments to consolidate operations and drive efficiencies. As a result, the market rental growth pulse nationally is fairly weak at present, though a cyclical improvement in fundamentals is expected to be more favourable late in the year."